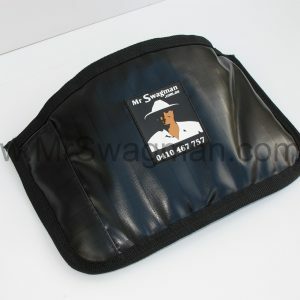 Mr Swagman’s Seat Organiser is an ideal product to secure to the rear of your front bucket seats. 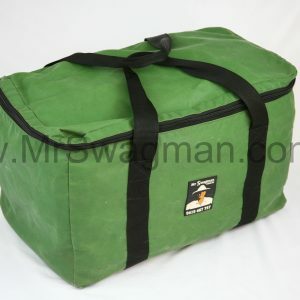 Featuring three small pockets, three medium pockets, two large pockets plus three extra-large pockets, you’ll be amazed at the amount of gear you can store. 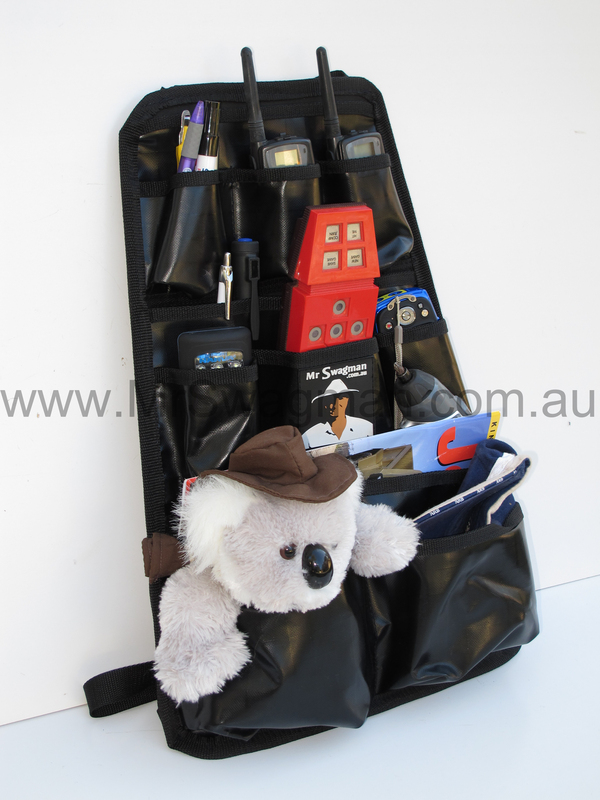 Mr Swagman’s Seat Organiser is perfect for storing kid’s toys, kid’s games, two way radios, phones, sunnies and sun screen, as well as cameras, CD’s, computer tablets like an Ipad, pens and writing pads. The largest pockets are also an ideal place for magazines, books and even board games to help keep back seat passengers amused for hours on those long road trips. For parents not wanting to continually twist their backs handing food and drinks to the kids, you can also stash a days’ worth of nibbles and drink packs. 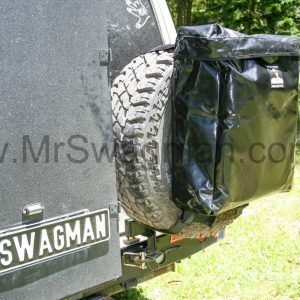 Don’t worry though, if drinks or food are spilled, Mr Swagman’s Seat Organiser can be easily removed and hosed out without damage. 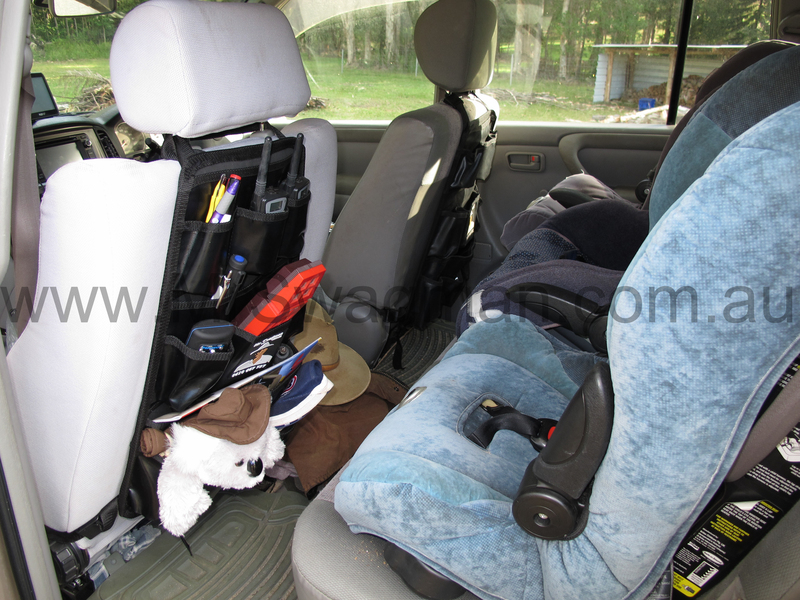 As an added bonus, Mr Swagman’s Seat Organiser can also be reversed and mounted on the front face of the passenger’s seat, if there’s no one sitting there of course, for easy to reach storage – a perfect option for drivers wanting to keep their equipment in a safe and easy to reach position. 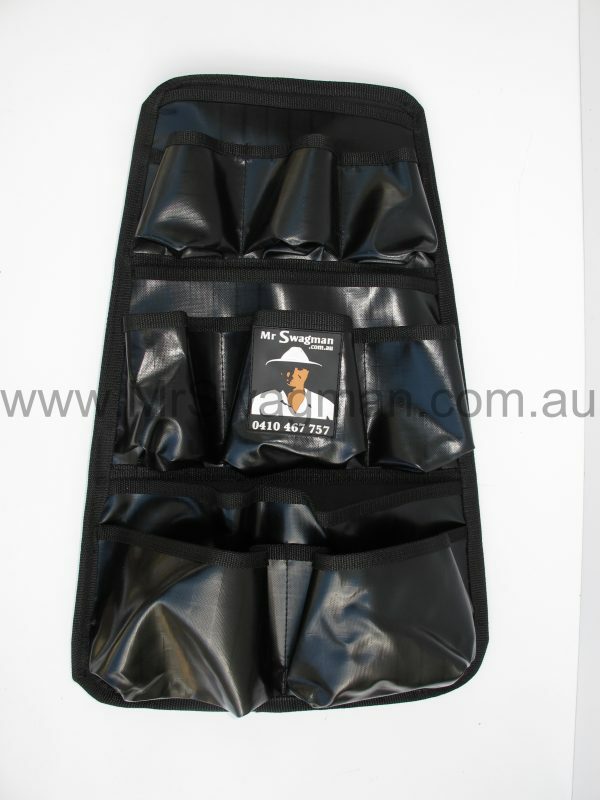 Mr Swagman’s Seat Organiser features an extremely durable and flexible rubber backing that will conform to any shape seat and can also be mounted to vertical surfaces like in the rear of your vehicle where space permits. 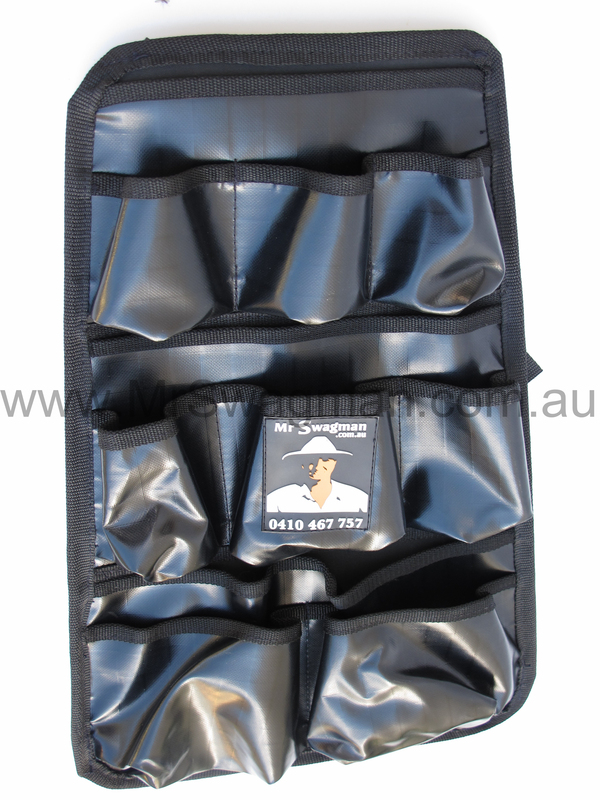 The front section of the Mr Swagman Seat Organiser is manufactured from an ultra-heavy duty ripstop PVC – the same material he trusts on the bottom of his swags. 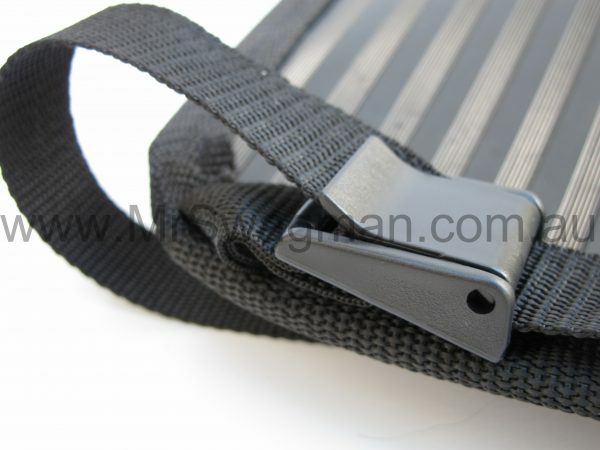 Mr Swagman’s Seat Organiser attaches to most seats via a quick release cam lock around the stalks of your adjustable head rest as well as a second quick release cam lock around the lower section of the seat back. 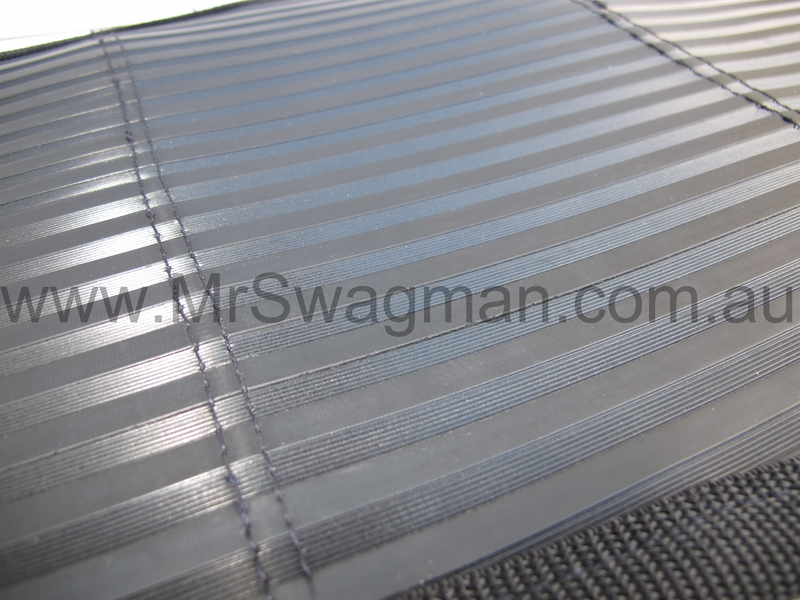 Having a sewn in frame prevents the Mr Swagman Seat Organiser from sagging, even when fully loaded with all your gear. 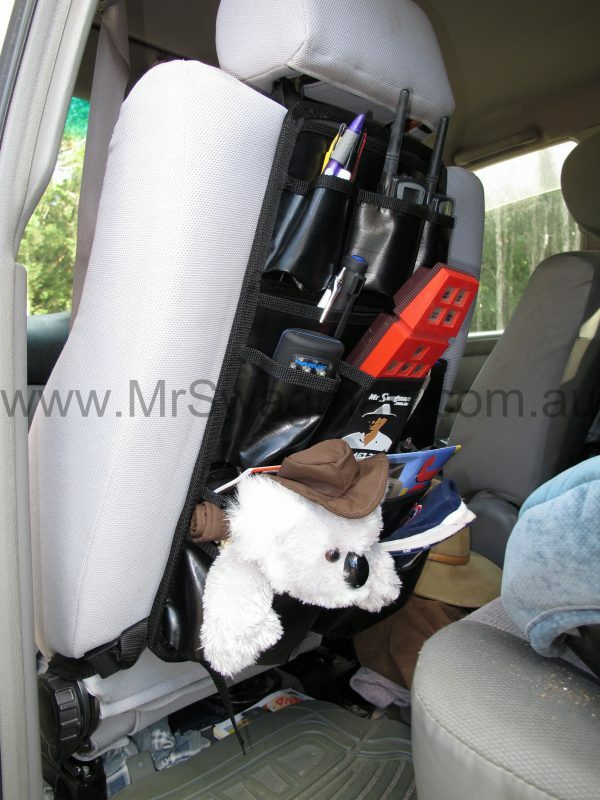 Being extremely quick and easy to install and remove, combined with lengthy straps allows Mr Swagman’s Seat Organiser the versatility to be removed in seconds and used in other vehicles.